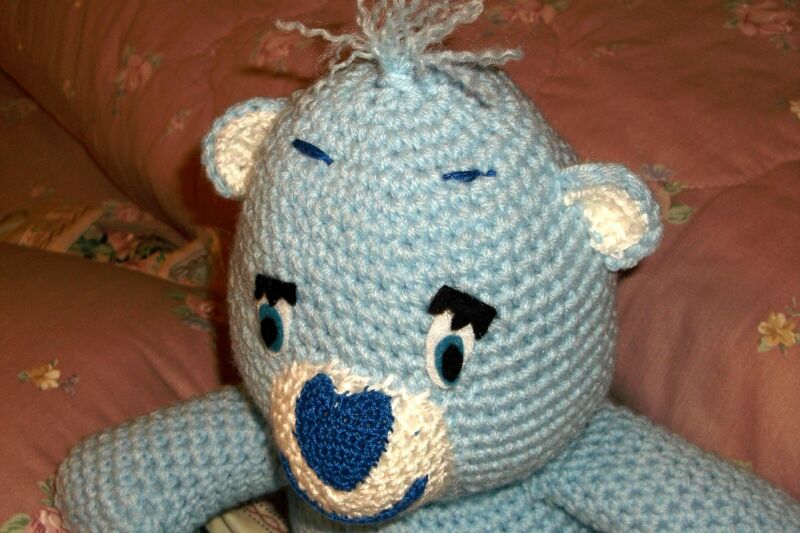 I love Care Bears! 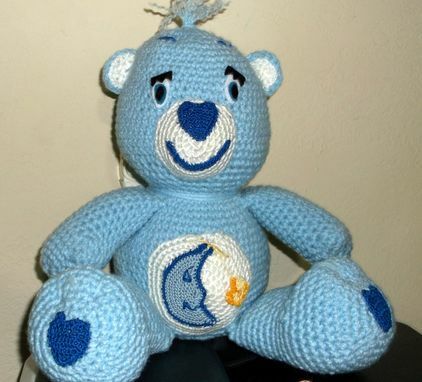 Bedtime Care Bear is lovingly crocheted in blue. 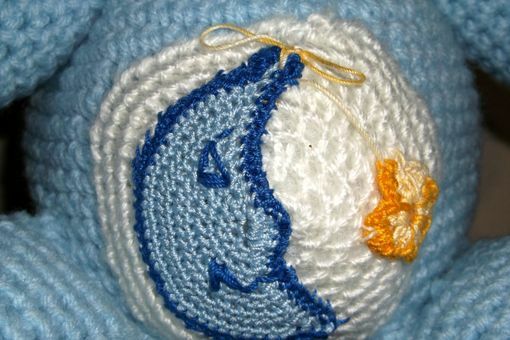 His belly has the moon and a star and I didn't forget the hearts. One of his nose, one each on his feet and the red Care Bear heart on the hip! He measures 11" sitting and is about 6" in diameter. Wonderful bed companion.